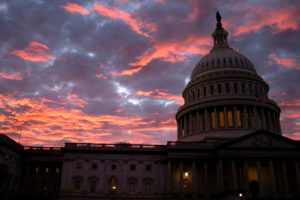 WASHINGTON — Congress returns to a changed political landscape Tuesday as newly elected lawmakers arrive in Washington, the parties elect new leadership and incumbents square off for one final legislative sprint before House Democrats take power. Newly emboldened Democrats are in no mood to cooperate over wall money. Firefighters battling California wildfires, police officers and other emergency responders all would be hurt by a shutdown, Sen. Patrick Leahy of Vermont said.